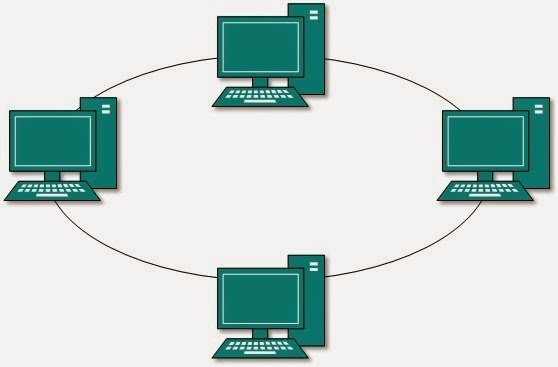 Local-area network (LAN) topology is a ring. All of the nodes are connected in a closed loop. Messages travel around the ring, with each node reading those messages addressed to it. One main advantage to a ring network is that it can span larger distances than other types of networks, such as bus networks, because each node regenerates messages as they pass through it. Ring topologies are found in some office buildings or school campuses.